April 15, 2019 — April 18, 2019 | 3 p.m. — 5:30 p.m. 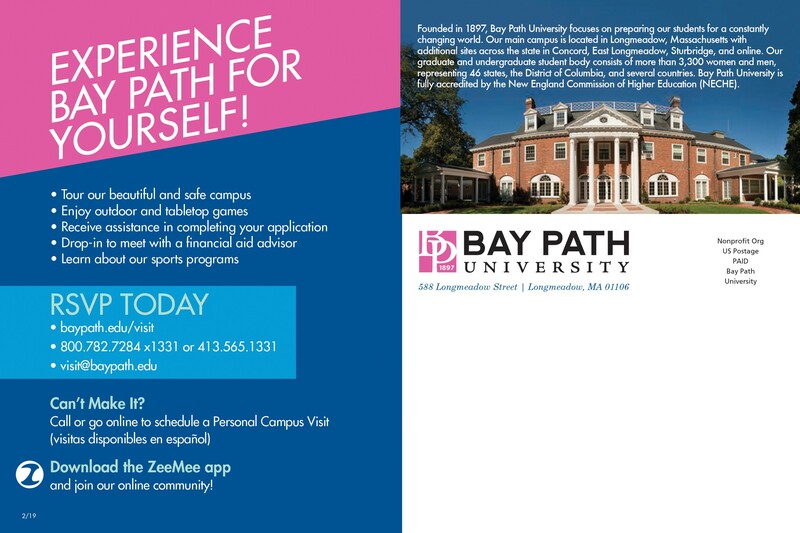 Experience Bay Path for yourself! Drop in during spring break and visit our beautiful campus. Register Today Can't Make It?